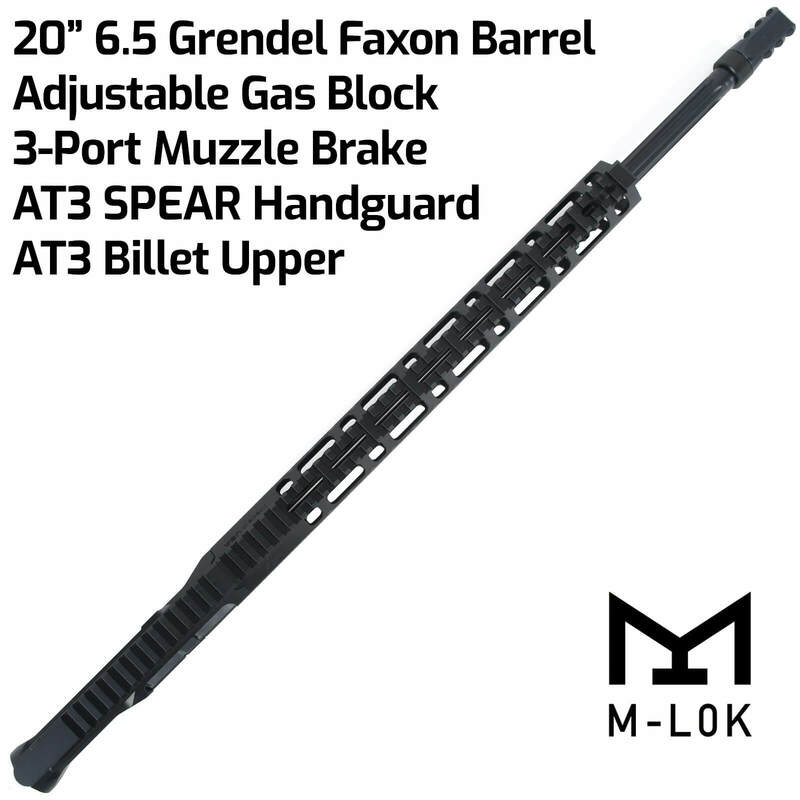 Quality Where it Counts – premium components like a Faxon Firearms barrel, adjustable gas block, and AT3 Tactical’s handguards and uppers. Don’t settle for “bargain uppers” with unknown components. Faxon Firearms makes some of the finest match-grade barrels in the industry, with precision 5R rifling, polished target crowns, and nickel teflon barrel extensions. The straight fluting keeps this heavy barrel as light as can be, without sacrificing repeatable accuracy, and the QPQ finish offers superior corrosion resistance. The critical component for the best possible feeding and accuracy on your new upper. Wojtek Weaponry’s adjustable gas blocks are easy to adjust to your favorite factory cartridge or handload, and use a clamp-on design to impart better accuracy better than pinned or set-screw gas blocks. This 3-Port Brake uses an innovative design with an integrated jam nut, instead of the common crush washer on most AR15 builds. Not only does the design offer significant recoil reduction, but it is also easy to install and remove depending on your specific application. AT3 Tactical provides Top-Tier Bolt Carrier Groups with all the uppers we sell. They feature M16-style carriers, MPI inspected bolts made from 9310 steel, and properly staked grade 8 gas key screws. Looks great. Have not had opportunity to shoot it yet. Waiting on other components to complete the build.